A leisurely winter walk through Kensington Gardens and you arrive at the small but distinctive Serpentine Sackler Gallery—its classical 19th century brickwork juxtaposed with the 21st century tensile structure, designed by Zaha Hadid Architects. The late Zaha Hadid was a long-term collaborator with the Serpentine Galleries: the erection of the inaugural Serpentine Pavilion in 2000, her first structure in London, led to the continued annual tradition of having a temporary building constructed by different architects in Kensington gardens. She went on to become a trustee of the Serpentine for 20 years. 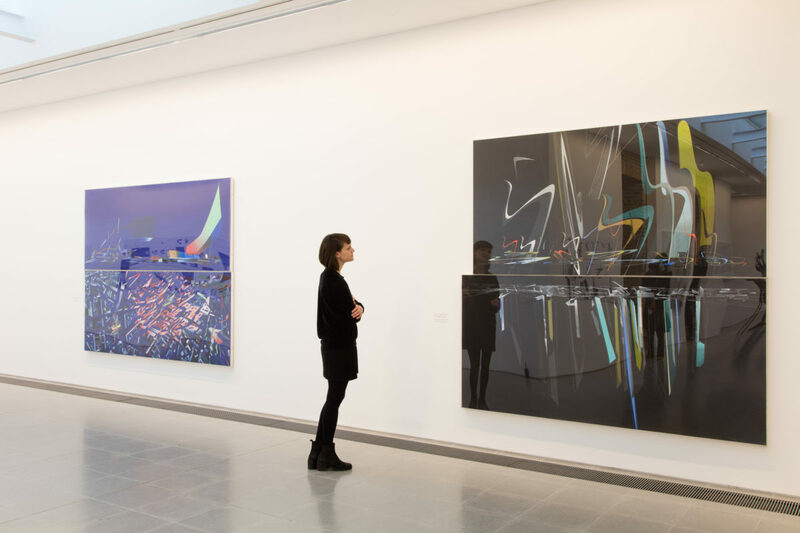 It seems fitting that Hadid’s early paintings, drawings and rarely-seen notebooks should be exhibited at the Serpentine Sackler Gallery—in partnership with Swarovski, with whom Hadid collaborated on various projects for more than a decade. “With experimentation, you think you’re going to find out one thing, but you actually discover something else” the architect once said, “That’s what I think is really exciting. You discover more than you bargain for. I think there should be no end to experimentation”. 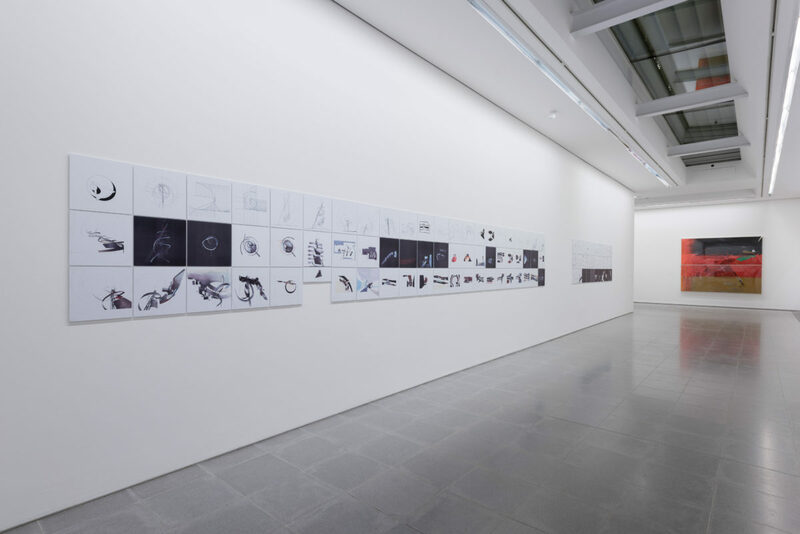 The artistic director of the Serpentine Hans-Ulrich Obrist has since said that this has become the mantra of the gallery, and Hadid’s early works demonstrate the budding dedication to this claim. On a biographical note, Zaha Hadid was born in Baghdad in 1950 and went on to study mathematics at the American University of Beirut, prior to studying architecture in 1972 at the Architectural Association in London. By 1979 she had established her own London-based architecture practice, though her international reputation was greatly enhanced by the inclusion of her architectural drawings in an exhibition entitled ‘Denconstructivism in Architecture’ curated by Philip Johnson and Mark Wigley at New York’s Museum of Modern Art. The Vitra Fire Station in Weil am Rhein was her first building to be erected in 1993—the practice would go on to create groundbreaking forms, including the Guangzhou Opera House in China and the aquatic centre for the London 2012 Olympics. Throughout her life Hadid was the recipient of many awards, including the Stirling prize in both 2010 and 2011. She was recently awarded the prestigious RBI Gold Medal, and was the first woman to receive it. Remembering Zaha Hadid, we usually focus on her physical realities, structures such as the Evelyn Grace Academy in brixton or MAXXI, the National Museum of the 21st Century Arts in Rome. In order to explore the early origins of these innovative structures it’s worth casting a glance at her early paintings and drawings, that were integral to her work; the concept of fragmentation manifests itself in a way that conveys the lightness and fluidity that is characteristic of Hadid’s realised structures. Her early work was influenced by the Russian avant-garde, in particular by the work of Kasimir Malevich who coined the term ‘Suprematism’ in 1915, describing it as “a new painterly realism”. These paintings are not naturalistic, they might even seem surreal or absurd on first inspection, but this abstraction is applied as a means of investigation for her architectural proposals. With her problem-solving ideas of fragmentation, abstraction and explosion, Hadid stands at the intersection of art and design. 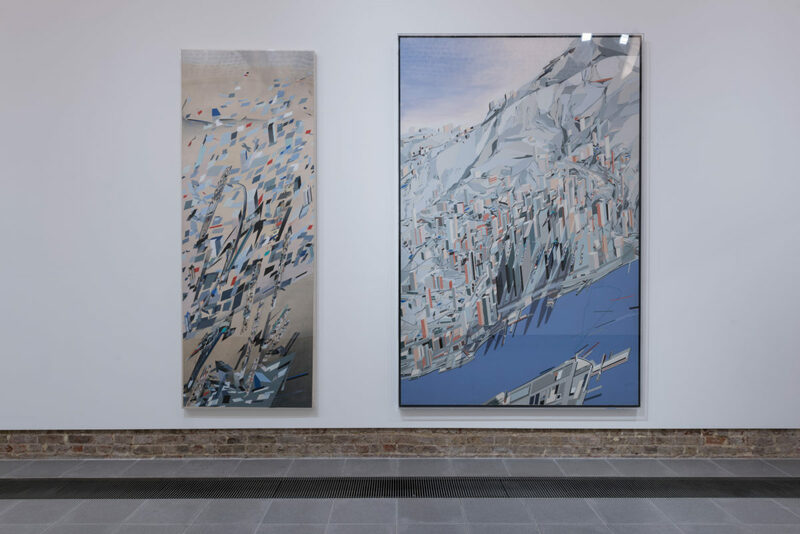 “This exhibition is conceived as Hadid’s manifesto of a Utopian world, revealing her all-encompassing visions of arranging space and interpreting realities” reveals Obrist. In keeping with Hadid’s continuous integration of technology and innovation into her work, the Virtual Reality (VR) project was developed in collaboration with Google Arts and Culture, and is an integral component of the show. This immersive experience further emphasises that many of the works displayed preempted the technology required to render virtual reality. Her relentless creative energy, as she stated herself, was in part “an attempt to override nature’s principles of gravity and death.” Through these early works we see a pioneer and visionary who moved away from certain dogmas defining architecture and instead sought to broaden its definition in pursuit of a greater form and resulting function.